The rich flavor of Top Shelf Kentucky Bourbon infused into our Raw Pennsylvania Honey to produce the perfect infused flavor. “America's Official Native Spirit” has a steep history in Western Pennsylvania since the beginning of our country. When the honey hits your taste buds, the fresh sweet taste of honey follow by the slight burn of Bourbon. Prefect for any recipe or to use by itself. Its surely one of our best honeys, so go ahead and "give your taste buds a treat"
and let's not forget Sunday biscuits! Note: Honey comes in a one pound plastic bottle with flip top lid. This infused flavor is excellent! This is great in green tea and for cooking. I have to slow down. I’m already on my second batch! Excellent honey, can't wait to try all the flavors! Shipping and delivery was fast! Yumm!! Can’t wait to try more varieties! Like to use this honey with my morning tea to start my day! 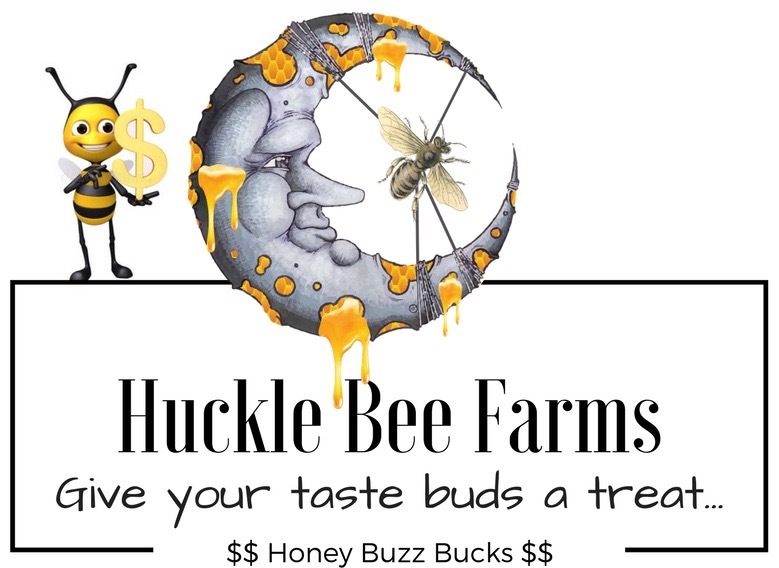 Tasty honey, low on bourbon flavor? This honey is just as delicious as any of the others that I've tried from Hucklebee; however, I really couldn't taste the bourbon. It just seemed like regular honey to me. Very tasty! I loved the bourbon honey. Its not overwhelming and could actually taste a little more like bourbon for me! Goes great in tea and also use it when cooking my chicken! Bourbon Honey A bit stronger honey....flavorful and smooth. One of her favorites Let me start by saying this was a birthday present for my life long friend. You included a birthday card even tho it was not your birthday basket. I appreciated that. My friends reaction was thank you thank you how did you know mine was all gone. We met you at Ligonier Days. This is one of her favorites. We garnished some salmon with the Bourbon Honey and cook it on the grill...What a treat!! Perfect The bourbon flavored honey has a smooth taste and not overpowering...I love it in my tea ..I highly recommend it!! Just flat out gooooood! Either mixed with a cup of hot tea or mixed with spicy mustard, brown sugar and more bourbon to marinated pork. It's just flat out good!